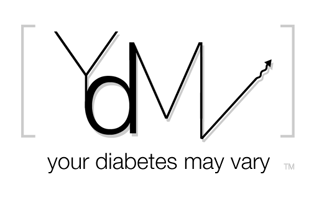 Your Diabetes May Vary: Gridlock Jeopardizing FDA User Fees? I babbled about MDUFA in July. 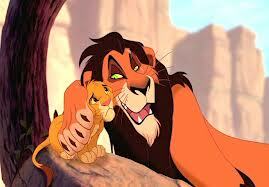 I likened MDUFA to the movie Lion King, in which case this story is about Scar leaving Simba to die. The readers digest version is that MDUFA is Medical Device User Fee Amendment. It is a way for fees to be collected to fund FDA reviewing medical devices. This summer's version of MDUFA put some time tables on the FDA reviews. In simple terms the idea is industry pays a fee to fund reviews of devices and the FDA has a clock running to do those reviews. Why does it matter in diabetes land? When and if there is a requirement for BG meters to be +/- 15% the regulatory review of those new meter will be funded by fees paid by industry and the FDA will do the reviews timely. PWD get more accurate meters. Yay. Mass Device reports on a Bloomberg Newsweek story (sorry I haven't found that Bloomberg/NW piece yet) that the deal may be in trouble due to congress's in ability to act on the budget. The FDA can't spend the user fee money without trigger funding from Congress. The $610 million deal between the FDA and the medical device industry is in jeopardy as Congress dithers over the federal watchdog agency's budget, meaning that product reviews for devices and drugs could slow or even grind to a halt, according to Bloomberg BusinessWeek. That's because the FDA can't spend a dime of the user fee money until it receives trigger funding from Congress, an FDA spokeswoman told the news service. With Democrats and Republicans perpetually at odds on Capitol Hill, this time over a proposed $1.2 trillion in budget cuts over the next decade, that all-too-familiar Beltway stasis "could result in the loss of whole user fee programs, programs that have become essential to public health and medical product innovation," the spokeswoman wrote in an e-mail. It's always something... (sigh). While I'm not optimistic, let's hope they can do something soon - though not likely with the upcoming election that no one wants to fudge up. Thanks for keeping us updated on this very important issue, Bennet, and of course all things FDA! You are my go-to guy for this info and it's very much appreciated! I think Bennet summarizes the issue pretty well, and in spite of claims from lawmakers (John Boehner, U.S. Speaker of the House, claims he won't let this or anything else languish in paralysis, we've all seen it happen before, so I don't know whether there's much substance behind these words). The most important thing U.S. Citizens and legal residents can do is to let your lawmakers know we expect them to move on this issue.